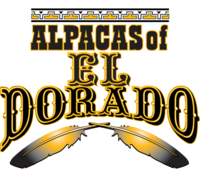 The Alpaca Breeders of Southern California Inc, (SoCalpaca), was established to educate the public about Alpacas, to promote the industry, and to improve the health of Camelids. The Alpaca Owners Association, Inc. (AOA) is the world's largest alpaca association with over 6,000 members and over 250,000 alpacas in its registry database. AOA provides an internationally recognized pedigree registry, national marketing program for alpacas and alpaca fiber products, and magazine (Alpacas Magazine). AOA also provides the industry’s largest Expected Progeny Difference (EPD) program, national show system, and judge training program. The highlands of Peru are home to the vast majority of all the alpacas in the world. The Quechua Indians, who domesticated the vicuna more than five thousand years ago, are the ancestral keepers of the alpaca. In 1996, the Quechua Benefit founders decided to create a charity dedicated to the children of this extreme land. As an all-volunteer group... We depend on our dedicated group of volunteers, who are trained to work under the direction of County Office of Emergency Services (OES) specifically through Animal Services endeavoring to evacuate the large animals. We supply the volunteers, the trucks and trailers. Laurie Findlay is a volunteer and a Certified Disaster Worker.